Not often does such an immaculate Family home come available. This purpose built GJ Gardener family home with open plan living at its best with large glass doorways which open up the kitchen and living areas to the outstanding alfresco dining set amongst the low maintenance Balinese Style gardens. Total privacy while entertaining guests or enjoying that relaxing Spa after work. This home ticks all the boxes 3 generous bedrooms, master bedroom with walk in wardrobe and ensuite, The central kitchen both well-equipped and well-finished, with Caesarstone benchtops, Walk in Pantry and quality appliances- , Meile Oven & Dishwasher, 900mm Bosch Gas Cooktop as well as impressive 2700mm ceilings throughout. Privately positioned outside, the alfresco area is ideal for outdoor entertaining and is fringed by the lush lawn area, just perfect for the kids and pets to play in complete safety. And if all this wasn’t enough! The property also includes a wide selection of fruit tree’s: Apples, Plums, Apricots, Olives, Mulberries, Mango, Lychee, Navel Oranges, Tahitian Lime, Kaffir Lime, Mandarin, Lemons, Finger Lime, Tangelo, Fig, Peach, Nectarine, Blueberries, Raspberries, Chilies, Galangal, Ginger, Lemongrass, Rosemary, Bay, Curry Tree and Turmeric. 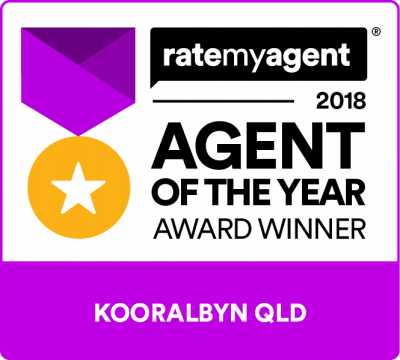 So close to everything that Kooralbyn has to offer, this home really does offer the easy life, so make it yours!